Photo on canvas measures 20" x 30" in size and has been hand-signed in silver paint pen by Serena Williams. The canvas is a limited edition and has been hand-numbered #/25. Williams has autographed this limited edition (25) 30" x 20" canvas entitled "Pioneer" in silver paint pen. 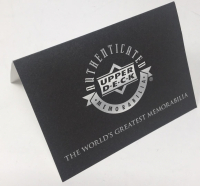 Her signature is deemed authentic by virtue of Upper Deck Authenticated's Five-Step Process. You will receive a random number from the edition. Includes a certificate of authenticity and hologram! 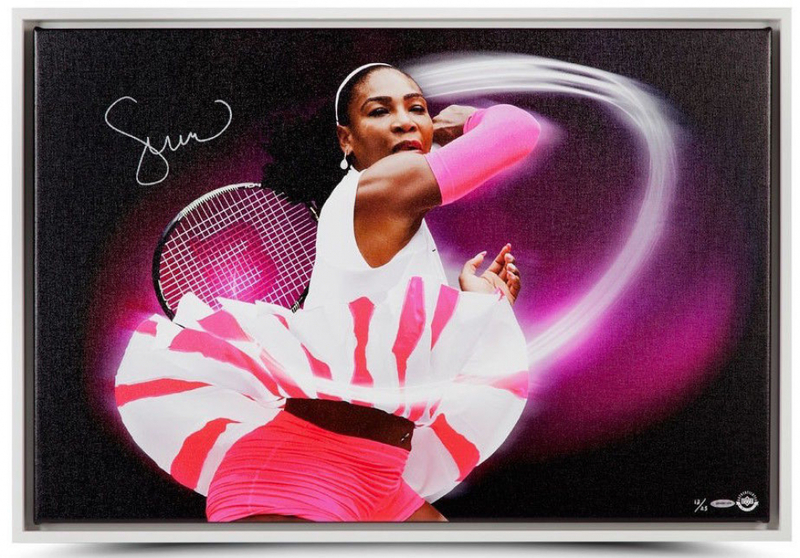 Serena's signature is guaranteed authentic through the Upper Deck Authenticated serial numbered hologram system. 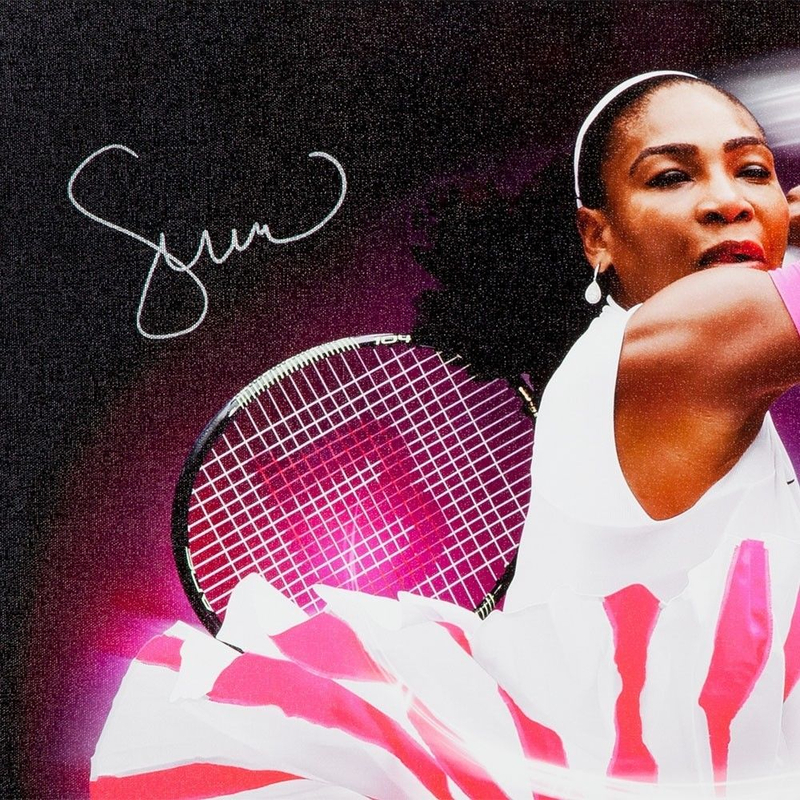 A pioneer in every sense of the word, Serena Williams has broken the mold as the world's greatest female athlete. She has added fashion influencer and cultural icon to her list of amazing athletic accomplishments, which includes winning her 23rd career Grand Slam singles title before taking a brief leave of absence in 2017 to add mother to her plethora of titles. The indelible mark she has left of the sport of tennis and on the culture of sport, period is impossible to put into perspective. She has inspired a generation of young women to stop at nothing to fulfill their dreams. Ever the athlete, this image shows the power and grace Williams shows so many times with a racket in her hands. This canvas print is finished with a unique white canvas floater frame to give it a modern complete look.